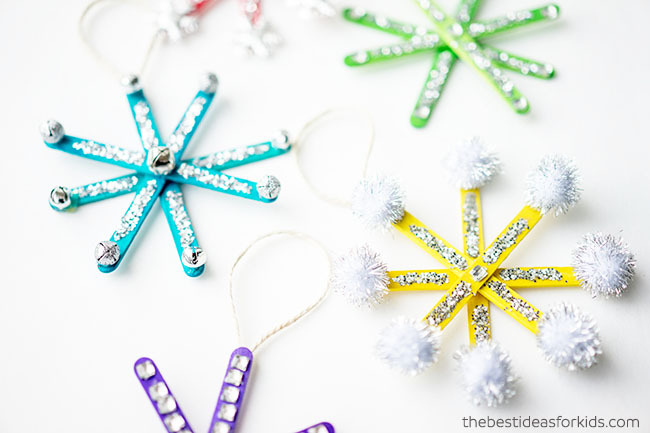 How to Make Popsicle Stick Snowflake Ornaments - An Easy Tutorial! This Christmas we’ve had a lot of fun making Christmas crafts. And what better way to remember your Christmas season than to make Christmas ornaments for your tree? 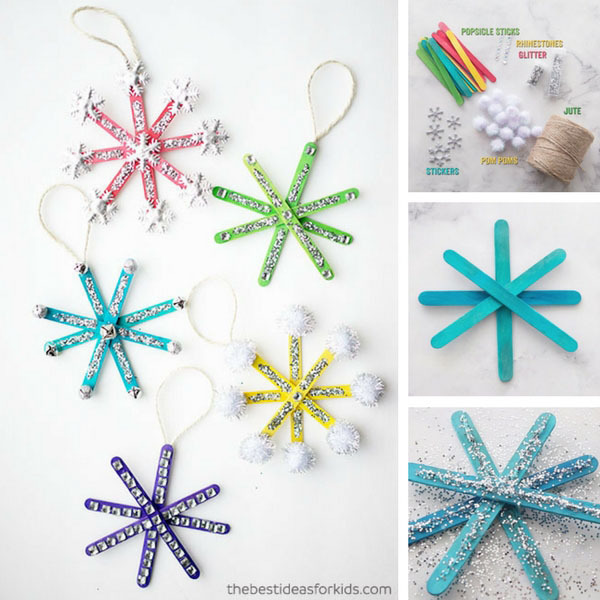 We’ve already made Salt Dough Handprint Ornaments and now we’ve had some fun making these colorful and glittery Popsicle Stick Snowflake Ornaments. 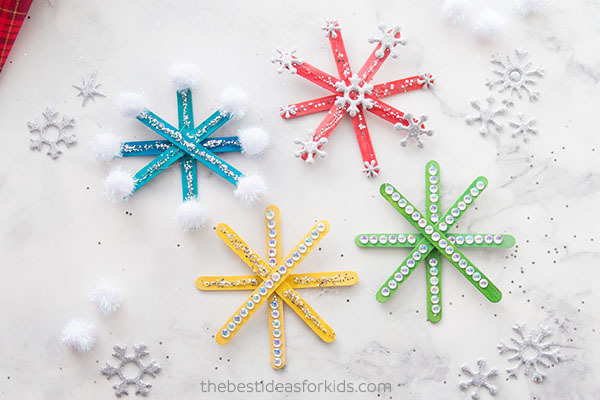 If you’re looking for a fun craft to do this Christmas season, then these pretty snowflakes made with craft sticks will surely be a hit in your house! 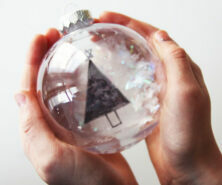 Also be sure to see our other fun ornament ideas including these unicorn ornaments and kid-made snow globe ornaments! 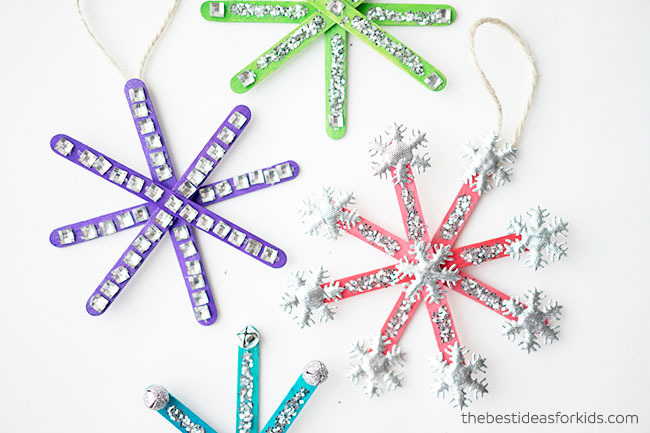 The ideas and decorations for these cute Popsicle Stick Snowflake Ornaments are endless! 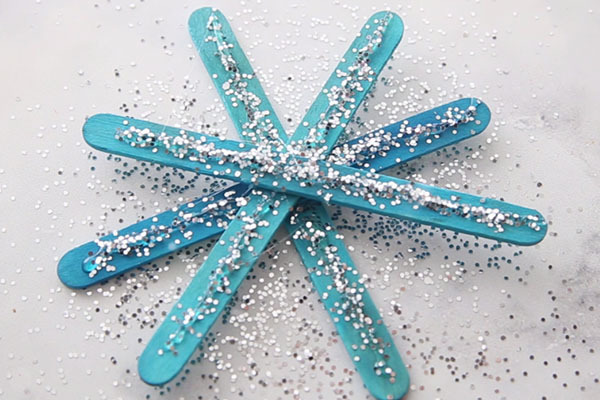 These snowflakes made with simple craft sticks are easy to decorate too that any age can help make them. Our 2 year old was so excited to have made his very own ornament and he even put it up on the tree by himself. I asked him which ornament was his favorite and of course he said his popsicle stick snowflake. You can make so many fun popsicle stick christmas crafts this year but these popsicle stick ornaments are definitely our favorite! The best part is that kids can decorate them however they’d like. And each one will end up being unique just like a real snowflake! 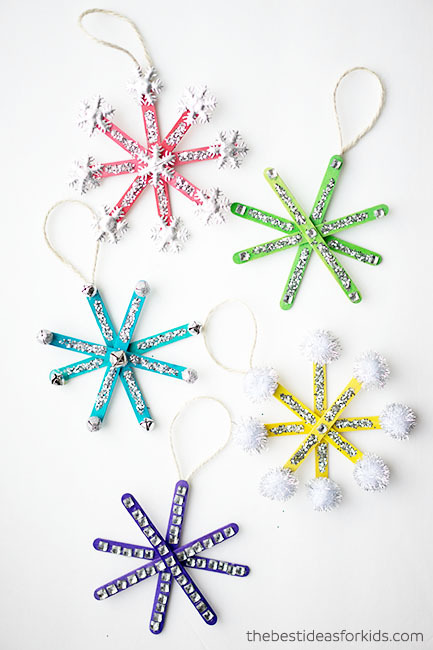 Our favorite popsicle snowflake has to be the red one with the extra fabric snowflakes added – aren’t they so fun? 1. First you need to paint your Popsicle Sticks if you don’t already have colored sticks. We started with colored sticks which make it much easier to create! But painting can also be part of the fun too so you could easily get plain popsicle sticks and paint them whatever color you like! 2. 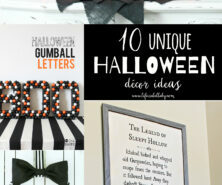 Next you need to hot glue gun your popsicle sticks together. 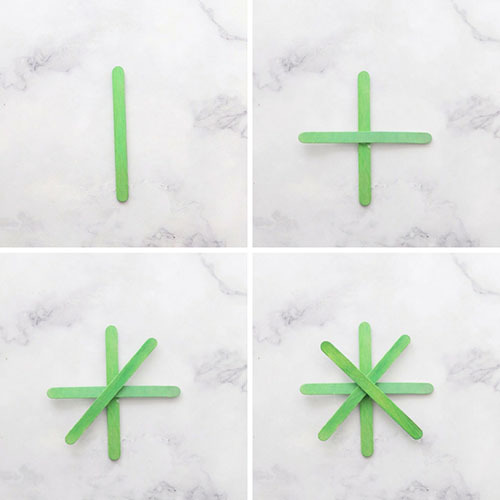 Forming the shape of the snowflake, put a small bit of hot glue in between each popsicle stick. Once done, add a bit of hot glue to the back and add your twine for hanging. Adults should do this part. You can get the snowflakes ready and then kids can do the decorating! 3. Now is the fun part! Time to decorate! We did all different kinds of decorations. We used Glitter Stickers and Silver Glitter on one, Christmas Bells and glitter, Fabric Snowflakes and glitter, Tinsel Pom Poms and glitter and just pure glitter on the final one. If you want to get the glitter on your snowflake ornament, just put a bit of the tacky glue and pour the glitter on top. Then shake off the excess glitter. That’s it! 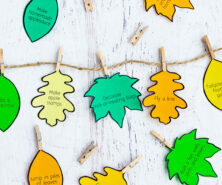 Pretty easy and this craft will surely keep the kids occupied. And the best part is you’ll have an ornament to cherish for many years to come! 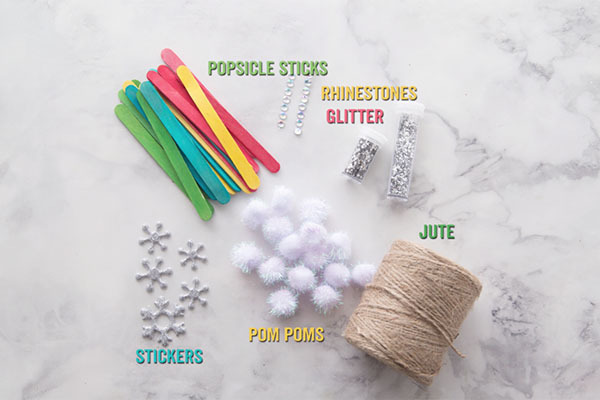 Looking for more fun Christmas Crafts? 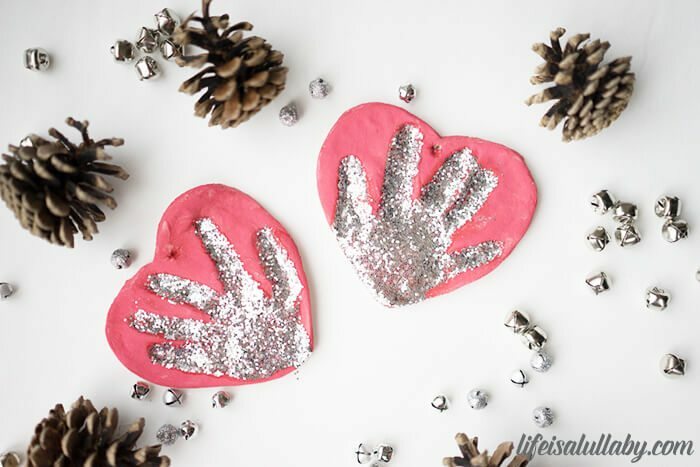 Make these easy and memorable Salt Dough Handprint Ornaments! 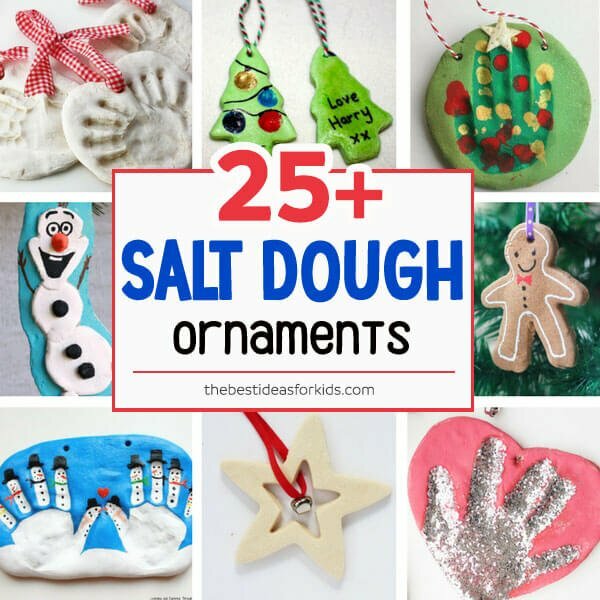 And for more fun ornament ideas for Christmas – see 25+ of the best salt dough ornament ideas! througout the year. Love all your ideas. Hi Maggie – if you use Pinterest you can save the pin by hitting the Pinterest icon. You can also bookmark the blog post on your browser. Or email the link to yourself with a title you can search for later. Hope that helps! Did you use a self adhesive strip of rhinestones on that one snowflake? Thought that’s what it looked like in the video. Just wanted to check. Yes! You can find these usually at the dollar store. Do the sticks get glue gunned together? Do they stick? Yes an adult will have to glue gun the popsicle sticks together first. Hot glue is good, but I have used Tacky Glue in the gold bottle too. They dry quickly and hold tight.